Wan aka is blessed with a multitude of excellent bars. Wrap your hands around a craft beer and analyze the days adventures. Just as the climate in New Zealand is pleasant, there are also frequent sudden changes in rainfall, which can rain almost any time of the year, especially in winter. In the rest of the seasons it is not so common that it rains, besides that the temperatures do not change much more either, making possible a trip to New Zealand at any time of the year. 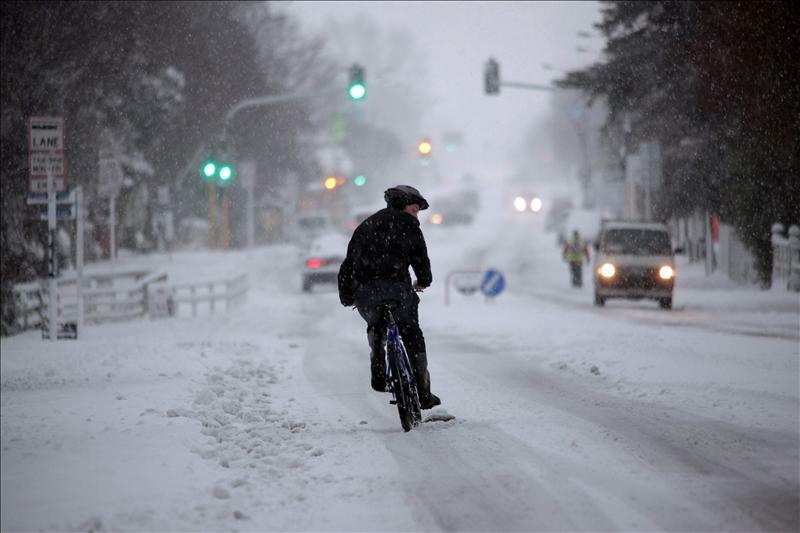 While our winter months do bring cooler weather and rain to parts of the country, many locations only experience a mild winter. High temperatures range from between 10 to 16 degrees Celsius (50 – 61F), but our ‘winter less North’ hardly experiences colder days at all. In the South Island, frosts and heavy snowfall is common – ski season is world-class. 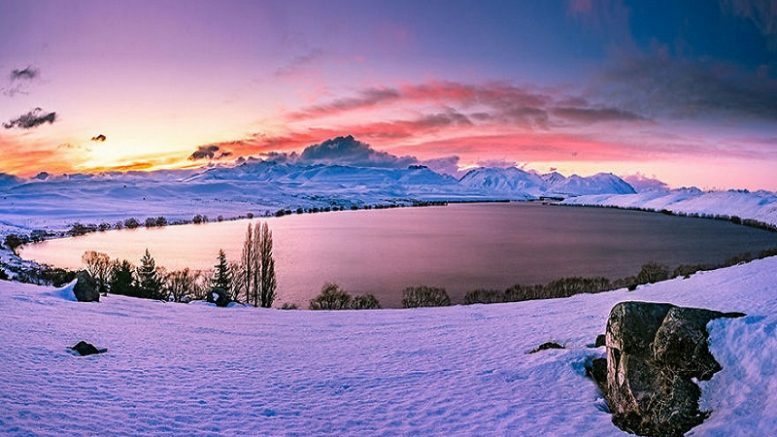 The ski areas are in full swing, and the mountains of the Central Plateau, Canterbury and Central Otago are blanketed with fresh snow. Snow enthusiasts should make a point of trying several different ski fields in Queens town and Wan aka, there are four world-class ski fields within an hour and a half of each other. For a thrill, try helix-skiing, snowboarding, cross country skiing or sledging. In Auckland, temperatures are mild and sunny days are common. It’s the perfect time of year to hike up Transitory – chances are you’ll have the dormant volcano all to yourself. A world-class ski destination, New Zealand’s ski fields will be covered in a thick blanket of powdery snow from June to September. Head to Rupee, Canterbury, Queens town or Lake Wan aka for thrilling snow sport action, but be sure to book accommodation, ski passes and gear hire in advance. If you’re planning a winter road trip or driving up to the ski slopes, read up on the important points to remember. Mount Cook is the largest mountain in New Zealand, with a height of 3,754 meters. At the foot of the mountain is the village of Mount Cook, a comfortable refuge in one of the most unforgiving areas of the country. There are several walking tracks that start near the villa, all with about three hours duration. Panoramic flights and trips to Tasman Glacier are other ways to make the most of your time here. The Fox and Franz Josef glaciers, two of the largest and most visited in New Zealand, descend from the southern Alps and almost to the sea level. Easily accessible on foot, these glaciers are among the most popular to visit. The largest glacier in New Zealand, Tasman Glacier (photo), is 27 kilometers long and covers an area of ​​101 square kilometers. To get to know it, there are boat and helicopter rides. 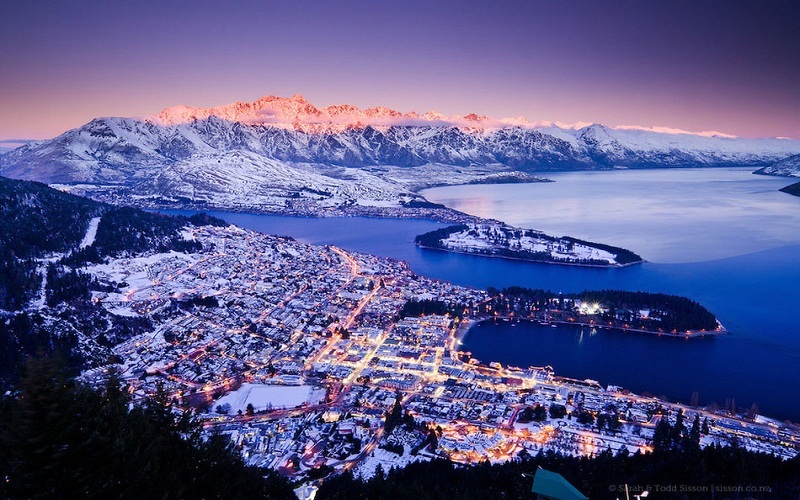 The adventure capital of New Zealand, Queens town (main image), has an endless supply of winter activities. 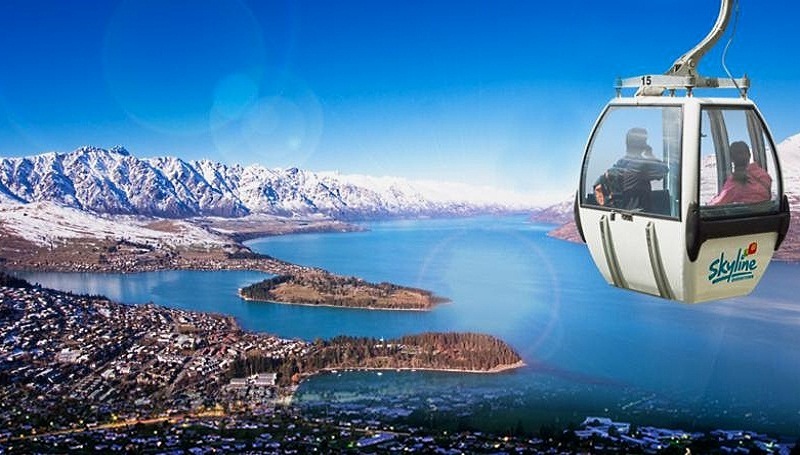 Two of the best ski resorts are there: Coronet Peak, easily accessible for those who visit the city, and The Remarkable, with a spectacular alpine atmosphere. This is where the Queens town Winter Festival, the biggest celebration of the Southern Hemisphere winter, happens every year. The program includes street parades and live music in different parts of the city. The peaceful Wan aka, with 5 thousand inhabitants, mixes the charm of a small city with the quality of an international tourist destination. A 40-minute drive from the city center there are excellent ski slopes, including Canard Alpine Resort, Treble Cone and Snow Farm. In 2012, the US edition of the National Geographic magazine highlighted the city as one of the best ski destinations in the world. New Zealand is located in the southern hemisphere, so that all seasons are opposite to those of North America, Europe and other places in the northern hemisphere. There really is not a bad time to travel to New Zealand. Of course, it can be taken into account that the majority of the Kiwi families (colloquial language in English, for the natives of New Zealand) take their main annual parties between mid-December and the end of January, thus increasing the demand for accommodation in Summer beach destinations. During the break and the Easter school holidays in April, June and July and September to October, it is also advisable to book well in advance. Accommodations for ski destinations such as Ohakune , National Park, near Mount Hutt Methven, Wan aka and Queens town are usually filled quickly – in addition to booking in advance, remember that you will have to pay higher rates in winter. In most other areas, however, you can pay lower rates during the winter months (April-August). In some areas of high season during the summer, in the winter season they close their businesses for 1 to 3 months, due to the low demand of tour operators and adventure activities. The climate of New Zealand, especially by the standards of the northern hemisphere, is quite mild for much of the year. A huge seasonal difference can be found between the South of the Island and the subtropical North, reaching extremes. 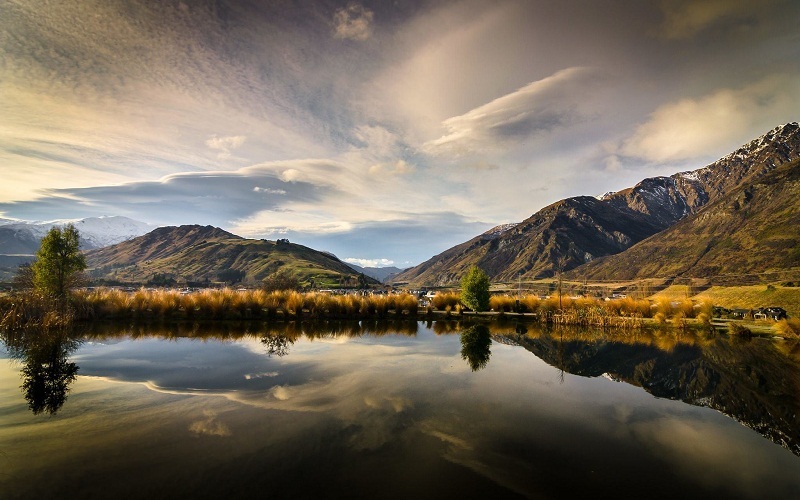 In Central Otago, winter temperatures are usually -10 ° C and sometimes as low as -20 ° C, with summers reaching 38 ° C to 40 ° C. In comparison, the northern part of the northern island is subtropical. That means there is a lot of rain in winter and spring and sun and light every day. The south west coast of the island can reach up to 2,540mm or more of rain per year on the southern side of the Alps, while a little more in the mountains to the east, the rain reaches moderately 500-700mm per year. The rain is also heavier on the west coast of the North Island, with an average of 1000 to 1700 mm per year. Milford Sound, however, is the area where it rains most in New Zealand, making it the wettest place in the country, with a phenomenal 9,275 mm of rain per year. The temperature in New Zealand in summer tends to warm , especially in the north of the island. In the north of New Zealand the temperature in the morning is around 15ºC and at the end of the day at 28ºC. In the south of the island of New Zealand, the temperatures are lower, being the maximum 25ºC and the minimum 9ºC. It is at this time of year when the pohutukawa tree blossoms in New Zealand, a tree with red flowers known as the Christmas tree. At this time of the year, the temperature in New Zealand drops and is colder than in summer . In the north of the island it is usually 12ºC while in the south it is 10ºC. In any case, the temperatures in autumn will never exceed 20ºC. Even so, it is an excellent climate as well as being able to enjoy the change of color in the leaves of the trees, making New Zealand in Autumn an ​​incredible place. Winter in New Zealand reaches below zero at some points, such as the mountains. In the north of the island the temperature oscillates 11ºC and in the south the 7ºC reaching up to 0ºC. Another form of the wonderful landscapes that New Zealand offers, which are its mountains and snowy highlands, is a spectacle. Spring is soft and calm, being a great time to travel to New Zealand . The temperatures usually exceed 18ºC, making New Zealand a totally comfortable place. It is a pleasure to see New Zealand flourish in addition to seeing their species of animals, unique there, besides being able to see penguins and seals at this time of year. Finally, when winter arrives, many think that the cold is unbearable and going on a trip to such an icy place is a lot to think about. In these places you will crave hot chocolates, walk with a comfortable blanket, never, we would think of going to a place where it is even colder than you are used to. But these may be the best adventure of your life. When we talk about New Zealand, we must point out the arrival of the snow, and with it the fun since the winter for them means that you can explore how beautiful the southern island is without the piles of tourists that can arrive each year. Be the first to comment on "DISCOVER WINTER IN NEW ZEALAND"